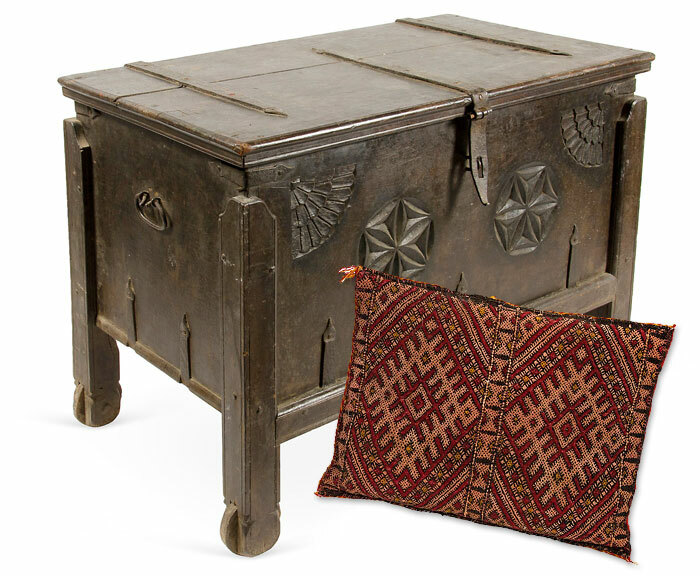 One Kings Lane is always on top of the latest trends in antiques, home decor, and anything else you could see adorning your home for your next dinner party or family gathering. 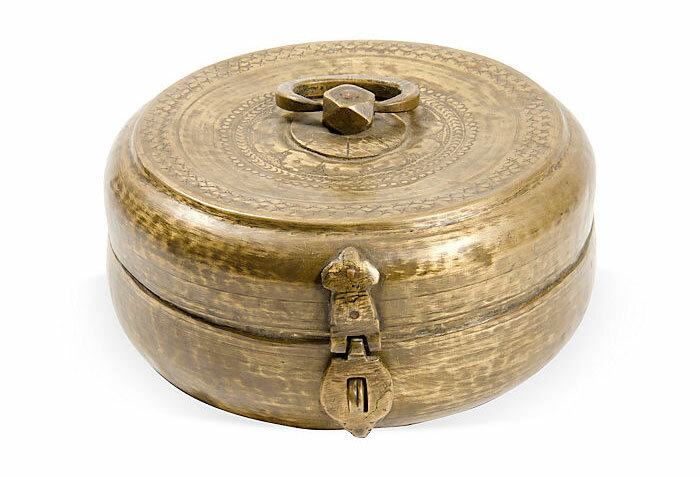 Everyone loves conversation pieces, and today’s big sale makes that a huge understatement. With the much-anticipated release of Disney’s Maleficent, One Kings Lane is offering one-of-a-kind pieces from the movie set at great prices to their shoppers! Who wouldn’t want a piece of movie history to themselves? I can’t believe how fast some of these items have sold out (okay, yes I can) but I figured it was still worth a post to take a look! There are still many items left, from furniture, to props, to posters, to tapestries…this is all so very, very cool. I cannot wait to see this movie for myself! I think these pieces all speak for themselves, so here are a few of my favorites…I actually have dreamed of having an extra room in the house all to myself that I can adorn with otherworldly pieces like this. 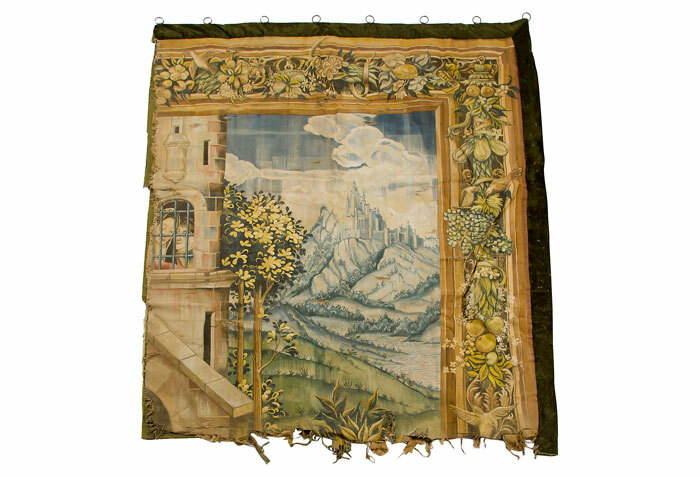 I’d have to say my favorite items are the wooden cabinets and the tapestries, which are all hand-painted. The production designers of Maleficent were inspired by the artistry and bold use of color in Disney’s animated Sleeping Beauty, released in 1959. I always feel like there will be nothing like the old, hand-animated movies of Disney’s past, and I feel the beautiful antique look of these pieces almost bring that feel back. I just hope the movie does, too. Take a look at the sale right here! I love printed denim! There, I said it. I’ve been convinced. It wasn’t long ago that I feared diving into the world of denim with a visible texture, and I’m not entirely sure why. I’m glad I can dig them now, though, and they’ve become a fun addition to my wardrobe! Good thing my tastes grew just in time for summer, when colors and patterns and everything fun once again emerges from our closets to hit the sun’s rays and everything that comes with it in style…festivals, beach parties, shopping trips…you name it. KUT From The Kloth‘s Spring 2014 lookbook is blooming with fun warm weather looks, and so it wasn’t difficult for me to choose which jean I would review when I was given an opportunity to write a review for the brand. So, without further ado, here’s a KUT From The Kloth Mia Toothpick Skinny in Young review! At Denimology, we talk a lot about denim jeans…for good reason obviously, since all the different options out there in terms of different styles, cuts, washes (you name it) are limitless. 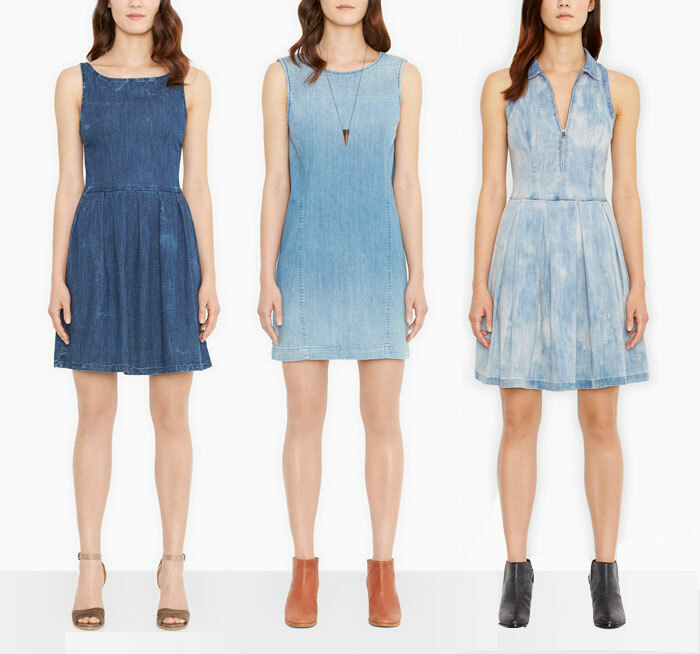 Every now and then you’ll see a denim shirt or jacket, but what about the denim dress? We are celebrating the 80th anniversary of the much-loved, iconic American brand Levi’s® for women on May 28, so why not highlight the fact that the brand has gotten everything right in terms of denim, including dresses! When I first think of a denim dress, I often think of it being too heavy and warm (although it is kind of hard to think otherwise in this hot weather we’ve been getting here in California), but I love that there are several different styles of Levi’s® denim dresses. In the photo above (starting from the left), we have the Boat Neck Dress which happens to be my favorite. I loved the crackled indigo, and the style is just perfectly cute for summer! I am also more keen on fitted dresses since I’m kind of a workout-aholic, and I like to show off what I’ve worked so hard for. It also has a cute zippered back! Next in the photo is the Fitted Smock Dress, which actually looks nice and breezy for the warmer months! I think this would look nice paired with something edgy, like a black leather jacket and some black lace-up moto boots. Levi’s® calls it a great dress for summer, since it is made of midweight, breathable cotton. Lastly in the image above, is the Pleated Day Dress in Celestial, which “light and airy” and “adds a refreshing palette to your springtime wardrobe.” I love the pleats and the zip, and the color is awesome for summer. I also wanted to mention a pretty dress from the more upscale Levi’s® Made and Crafted division of the brand, which I just find adorable. This is the “Splash Dress, designed in lightweight orta denim features an exposed back metal-zipper, with binding at the neck, waist, and sleeve—tailored to graze just above the knee.” I dig it! I could see wearing this to a nice springtime or summer wedding or other formal or semi-formal event. Of course, there are other styles of Levi’s® dresses available, but these were my favorites. Shop the entire collection right here! Congratulations and thank you Levi’s®, for 80 loyal years to quality and classic denim! When we think of leggings or jeggings, many of us may imagine a perfectly lithe Miranda Kerr-like supermodel rocking this sprayed-on style like it’s nobody’s business. For the majority of us, many might think of words like “tight,” “constricting,” “unflattering,” “scary” or “too stretchy”…jeggings and denim leggings are quite possibly the evil step-sister of the skinny jean, or some kind of cruel joke! I thought I’d seen them all of them out there, until I was introduced to Freddy. Have you ever heard of leggings that actually had the strength and ability to lift your assets rather than simply squeeze them in? I hadn’t either. Get ready for a treat…today I bring you a Freddy WR.UP Shaping Effect Low Waist Skinny in Denim Indigo review! I vehemently avoid themed colors for most of the year…red and green, black and orange, red and blue (especially not with white as a third color), but when the holiday calls for it, why not? Memorial Day, Labor Day and July 4th are all fun days to rock patriotic colors with confidence while saluting those who are responsible for these important holidays. Here I am wearing cherry red Diesel Liv jeans I found on eBay awhile ago (while in pursuit for the red Matic jeans), a Lucca Couture top from Hautelook that I absolutely love wearing when it’s super uber hot out, some surprisingly comfortable (and decently sturdy) festive blue heels from Forever 21 bestowed upon me by a friend, and a shell-cut butterfly necklace I nabbed from American Eagle Outfitters many years ago. I’ve done so many reviews for the more technical form fitting, curve hugging, shape retention, asset flaunting jeans with cutting-edge fabric blends lately that I almost forgot about the more laid-back, relaxed, 100% cotton side of the denim world! Well, not really, but it’s nice to revisit this style from time to time, especially with summer coming up, when the looser styles are often more comfortable in the higher temperatures that make us want to kick back and relax a bit more. Now it’s time to wrap up my Levi’s® series with my fourth and final installment, a Levi’s® 501 Jeans in Vintage Indigo review! Just to make things clear, I normally loathe snakeskin. I find it gaudy and tacky most of the time, and I especially distaste items created with real snakeskin. However, then there’s the side of me that goes, well if the rest of the snake was consumed somehow, why not? So I’m going to go with that way of thinking for now, because this bag just keeps popping up at me thanks to the magical marketing powers of the internet that keeps reminding me of the one time I clicked on it out of curiosity. But damn, isn’t it pretty? Yes, it’s Versace, so yes it’s ridiculously expensive, but why act surprised and complain about such things when we already know that’s how high couture goes. Lets just admire it, like an art form…as I am now. I love those colors, and how the diamond pattern of the snakeskin goes right down the middle like that. I would be pretty cool to see and feel this bag in person. The detailing is impeccable, which is stating the obvious to anyone who knows that’s why these high fashion brands have such inflated price tags. They do sell, and fast. In fact, Shopbop only has one of these left. So out of curiosity, I thought I’d see what else there is out there in the world of snakeskin (print, to be exact…since I’d normally like to stay as far away as any animal skin other than leather as possible). Every now and then I like to re-evaluate my tastes or distastes, because I just love finding creative pieces that break expectations I have. Here’s a few items that I find rather pretty in snakeskin print, probably because they are a bit more subtle, and mixed with other textures and colors. I dream of one day having a pretty backyard porch, maybe complete with a pool, a grassy, shaded area with a hammock, and of course the clear-glass table with patio chairs and an umbrella for those summer lunches or picnics…or maybe nighttime pool club parties (in this case, lets add in some hidden LED lights and lasers and maybe a fog machine and a roll-out DJ deck and…okay, I’ll stop, but a girl can dream, right?). But lets keep it simple (and a little more real) for now…with the summer months coming, I crave friendship-building and sun-soaking time, and maybe some indulging in some (vodka soaked?) fresh fruit and light brunches with mimosas (maybe not with the vodka though…). 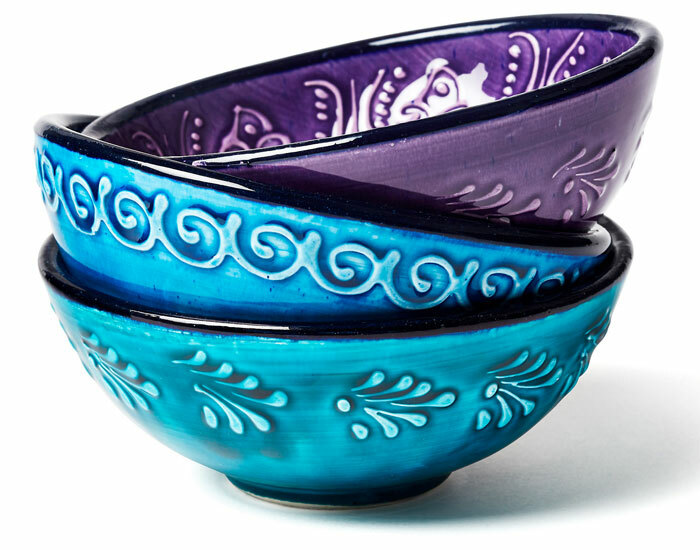 One Kings Lane is a great place to visit for those outdoor entertaining items, and today they have these pretty bowls on sale for just $14, down from $45 which still isn’t too bad, but what a steal! I love the cool blue and purple colors that make me pine for the ocean and the beach. Heck maybe I will just grab a set for my work desk when I crave a cold snack, like some frozen grapes. Yum. Shop the sale right here! I just cannot get tired of skinny jeans. More specifically, I just cannot get tired of DL1961. I’ve reviewed a lot of amazing skinnies here on Denimology and it really is hard to narrow them down to a favorite or two. Skinny jeans are meant to be flattering and to show off our assets, but they can be tricky, too, so I believe good stretch and shape retention technology is the most applicable with this style. 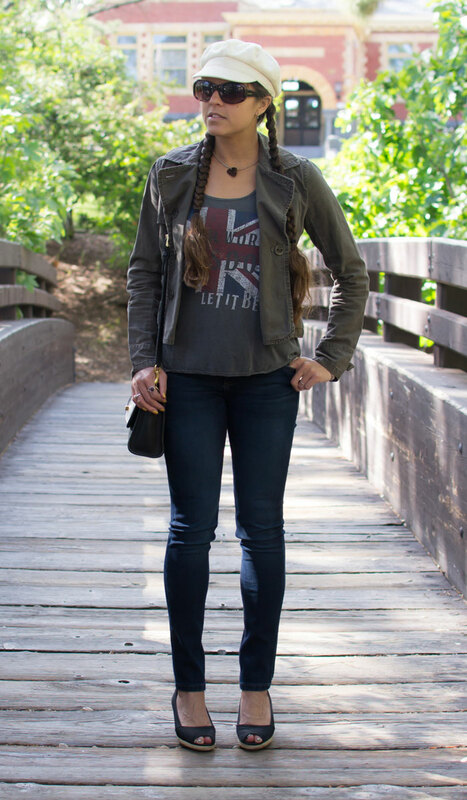 Most people seem to enjoy skinny jeans in the colder months since they are easy to dress with a cozy, baggy sweater and tall boots, but I like a good skinny jean that will take me into the spring and summer too, so I can look just as good while out and about on those oh-so-nice summer nights! Today I am sharing a jean that I feel fits the bill, with a DL1961 Florence InstaSculpt Skinny Jean in Warner review!